Save money with our Abbyy coupons and vouchers. ABBYY is a leading provider of text recognition and document conversion technologies and services. Our outstanding award winning products increase the efficiency and productivity of data management for both individuals and organizations. ABBYY has a worldwide presence with global offices in Europe (Munich, Germany), Russia (Moscow) and North America (Milpitas, California). 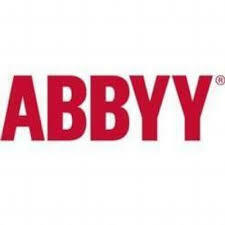 ABBYY also has regional locations in Australia, UK, France, Spain, Ukraine, Japan, Taiwan and Cyprus. ABBYY solutions, products and technologies are available in more than 200 countries and regions via a broad partner network.